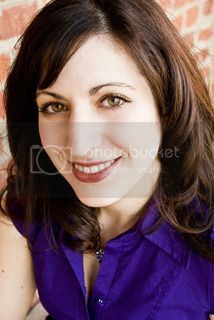 A big welcome today to Antonia Aquilante as part of her blog tour for The Sorcerer's Guardian from Dreamspinner Press. Hi, everyone, and thank you so much to Anne Barwell for letting me visit today! 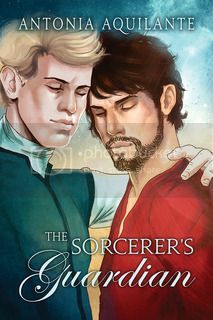 I’m Antonia Aquilante here to talk with you about The Sorcerer’s Guardian, which is out from Dreamspinner Press today. The Sorcerer’s Guardian is the fourth book in the Chronicles of Tournai series, though it can be read as a stand-alone, as can the other books in the series. It’s the story of Savarin, a powerful sorcerer, and Loriot, captain of the royal guard, as they clash and get closer and ultimately fall in love while on a mission from the prince to solve the mystery of Tournai’s weakening magical protections. Something in The Sorcerer’s Guardian that’s different from the first three books in the Chronicles of Tournai series is that both Loriot and Savarin are in their thirties, older than the heroes of all three of the other books. I don’t have a preference for writing one age over another, but I did enjoy writing these characters and the way their ages informed who they are and their reactions to situations and each other. These characters have more history, more life experience, are more settled in who they are, which creates all sorts of interesting and slightly different situations when they try to navigate a relationship with each other. Loriot and Savarin are both quite advanced in their occupations. Loriot joined the royal guard as a young man and was welcomed for his skill with a sword. Over the years, he’s devoted his life to the guard and worked his way up through the ranks until he was awarded the position of captain. He’s well respected and very good at what he does, one of the reasons that Prince Philip sends him with Savarin in the first place. Savarin too has worked for years to get where he is—he’s learned to use and control his immense Talent, and he’s continued to study and learn about all kinds of magic. He’s the most powerful sorcerer in Tournai and is respected, perhaps even feared, for it. Both Savarin and Loriot also have history in their personal lives, more than younger men might have. They’ve both had affairs before. One of Loriot’s prior affairs gave him his five-year-old son, who Loriot loves dearly even if he didn’t expect to be a father. Loriot and Savarin know who they are and what they want, what their plans for their lives are. Which makes it even more fun to mess all that up and watch them figure it all out when nothing seems to be going to plan. Because their unexpected affair, and the even more surprising feelings that develop between them, Loriot and Savarin are thrown off completely. It’s perhaps more difficult for Savarin to adjust and make space for a relationship and the family that comes with it. He’s alone and has structured his life to suit no one but himself. His house is exactly as he wants it, as is his schedule. He studies and works on what he pleases and travels whenever he likes. He’s accountable to no one in his personal life, hasn’t been for many years, and he likes it that way. It’s much harder for him to let someone in than it is for Loriot who is more of a nurturer and protector and whose life is filled with others, including a small lively boy. Making a place for Savarin is easier for him in some ways, though no less scary, especially taking into account who Savarin is and Loriot’s long-felt wariness of magic.